We took a Road trip riding around 1700 km on our bike in a span of 4 days and it was amazing. Bright daylight to non lit highways in the night; from smooth uninterrupted highway to bumpy town roads; from heavy rain to strong winds; we saw it all and rode through it all. We just got up an decided to take the trip but we did learn a few things on our way, which would have been helpful before we started. 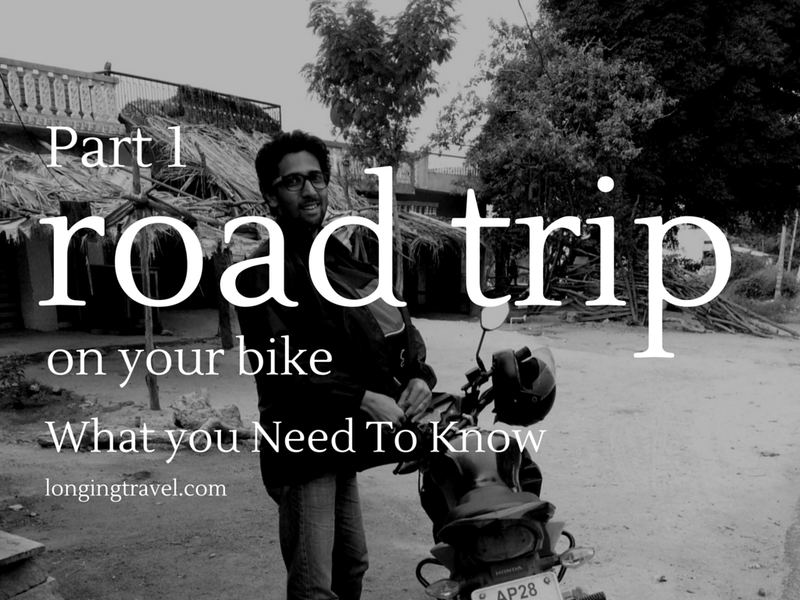 Here are some such points you should keep in mind while planning for a bike road trip especially if you are the driver. Planning is a important part of any activity. For biking, you should study the road & weather conditions and prepare accordingly. We used Navigator app for route/directions and it helped us a lot. For road conditions research on dedicated sites (if you are in India these would be Team-bhp, Indiamike, TheAutomotiveIndia) . Most sites have active forums and there are plenty of roadsters with fresh/latest info for your route. Plan time intervals for your stops/breaks based on your bike condition, experience and interests. If you love grasslands stop when you reach one and take your break instead of stopping at a random tea shop along the road. You might commute daily in the city on your bike but that is far from how highways will be. Some of the must haves are helmet, gloves, padded biking shorts, full body raincoat, anti glare glasses (not sunglasses) and cushioned seat cover. Also carry a basic tool kit, you may need it for unexpected things, we lost number plate screws from our bike which we tied with my seat cover string using a Swiss knife. High beam glare is a serious issue faced by all drives. You need to be extra alert while driving at night. Use anti glare glasses to cut the glare from oncoming traffic. Clean your glasses and helmet visor frequently as dust or water droplet scatter the light way more than a clean class. Do not look directly into the light and focus on road markings and signs to get an idea of turns, lanes, etc. Placing yourself behind another bigger vehicle and remaining in its shadow is a good idea. Your speed might be compromised but it's better than an accident. I used all these tricks to dodge high beams with little effect on my average speed. You wont save much time by high speeds and rash driving but you will increase chances of a mishap. Ride at a comfortable pace and take a few breaks here and there. You will end up tired and less focused by stretching your ride time without breaks which will make riding difficult. Keep in mind that a driver should always be fresh and alert. We took 10 minutes break after every 50 minutes of drive. Things can go completely wrong on the road without much warning. A flat tire, long traffic jams or upset stomach can eat a lot of time and your plan would be out of the window. Have an alternate plan so that you can act without wasting much time. We had backup plan or a initial plan for that matter. 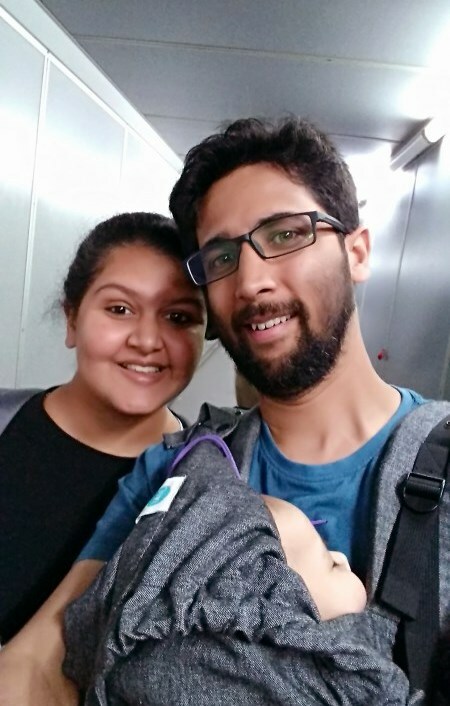 When we reached Kadapa at 9PM, we walked in 3 hotels before finally finding a room adding another 30 minutes before we could lie down and relax. We wanted to drive further but thankfully a day on the road taught us enough to stop and get on the road again the next day. Let us know if these were of help and when you are planning to take your first road trip. In case you are a road trip veteran share with us your tips and tricks.